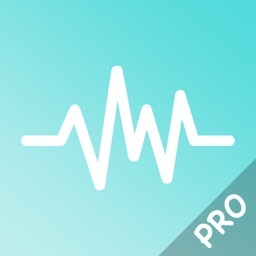 Equalizer by Audioforge Labs Inc.
Music player with the most powerful and acurate equalizer in the app store as well as the most advanced playlist controls. + Select from over 10 presets or save your own. You can even share them via email and import presets from other people via email. 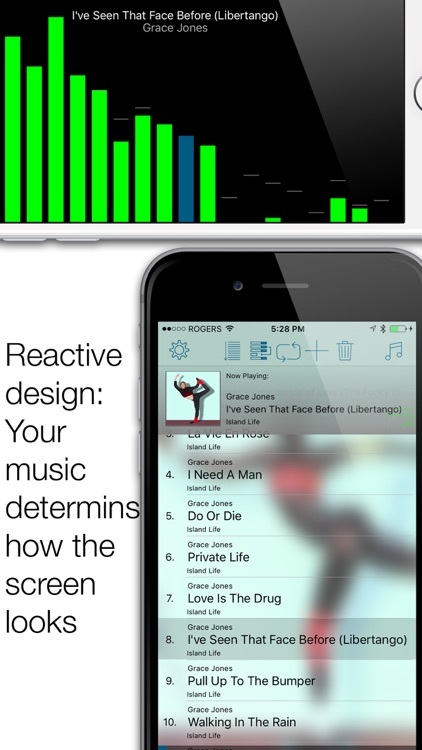 + Visualize the music with the spectrum analyzer. + Curve screen: curve redraws as controllers are dragged. Pinch to modify Q. 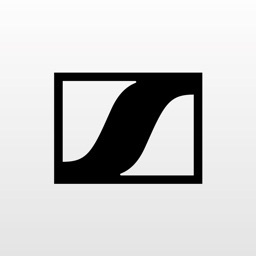 Three stage clipping signal on preamp slider. Keyboard entry for pre-amp. 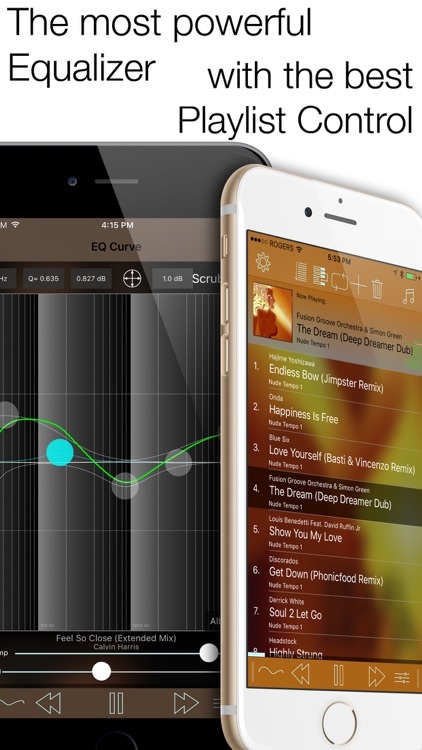 Twitter/Facebook/Weibo integration to share your current EQ curve. Bypass. + Crossfade between songs. 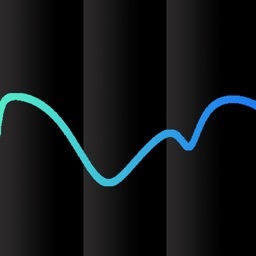 Make sure to stop the music before changing the crossfade time slider. + Now playing screen includes repeat (all, single no repeat) button and shuffles like the music app. Improved stability of on the fly modifications of the playlist. 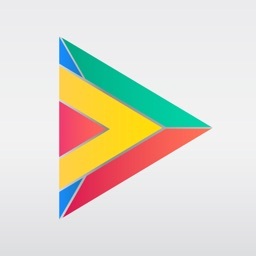 Add more songs to the playlist at any time. Sort playlist alphabetically. 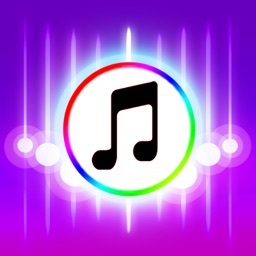 + Music selection is very similar to default music app. + Turn landscape to display the frequency analyzer. + Built in sleep timer to stop Equalizer after a certain period if time. No known issues. please contact support if you have any problems. Equalizer will not play copy-protected (DRM). You need to convert DRM songs. Apple Music Streaming uses copy-protected songs. Only the Apple Music app can manage songs in iCloud (iTunes Match). 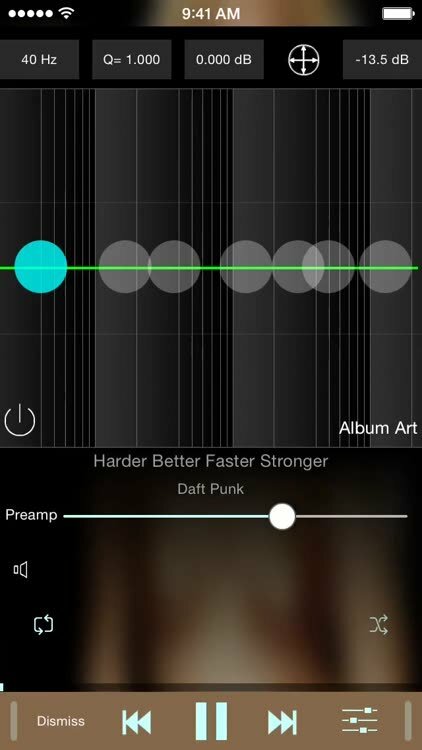 You will need to make sure the songs are downloaded to your device to listen and enhance them via Equalizer. 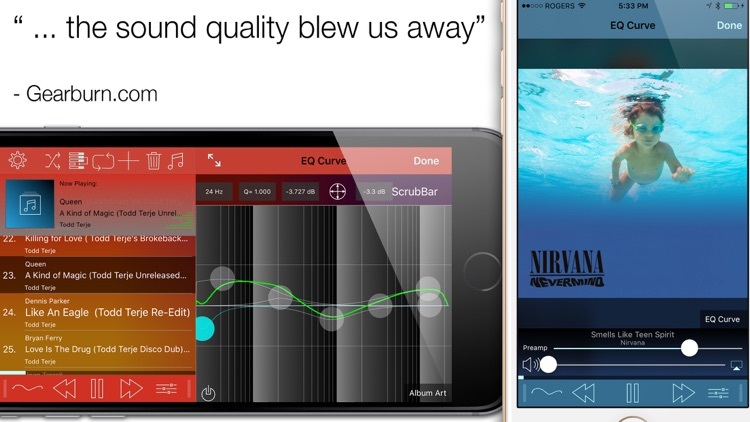 If you want to stream and eq your music, you can try our other app: CloudEQ. It allows you to stream and eq music from SoundCloud and your Dropbox account without the need for storage on your device. Equalizer is not providing the functionality for rendering your eq curve to the song. However, our other app: Remaster does!